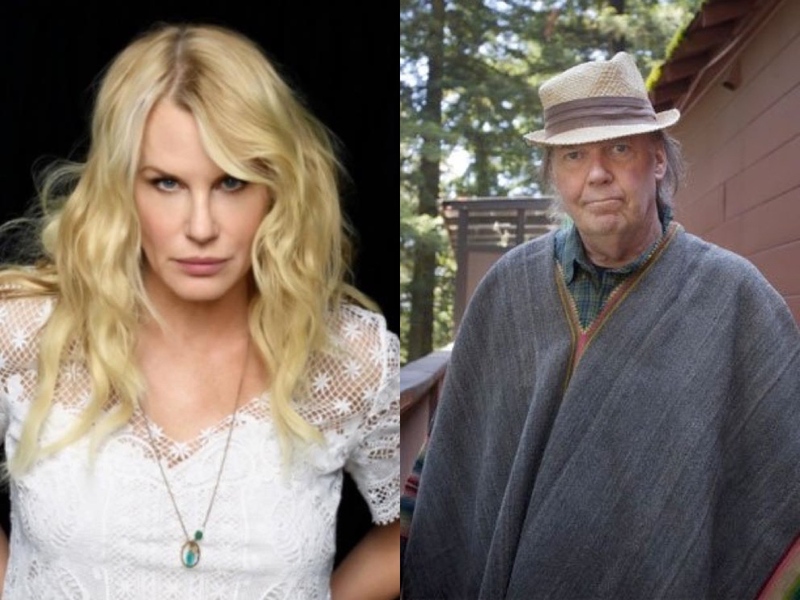 Earlier this year, reports emerged suggesting that Neil Young had married his partner Daryl Hannah in a private ceremony. Now the news has finally been confirmed. Young himself confirmed the news in a message posted to the Neil Young Archives where he shared a live video of himself performing "Ohio." "My wife Daryl and I put this video together for you to reflect on," he wrote. The video encourages Americans to vote in the midterm elections, saying there are "no real laws protecting us from guns, and…politicians supporting the NRA because the NRA supports them." Young and Hannah have been together since 2014, the same year Young filed for divorce from Pegi Young, his wife of 36 years. Before that, he was married to Susan Acevedo from 1968 to 1970. Young and Hannah's relationship is also an artistic one: she directed him in the new Western film Paradox.